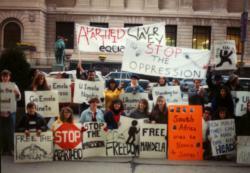 APARTHEID SLAVERY, STOP THE OPPRESSION, FREE THE HOMELANDS, STOP APARTHEID, FREE MANDELA, South Africa cries to Heaven for Justice, HOW MANY TIMES CAN A MAN TURN HIS HEAD? 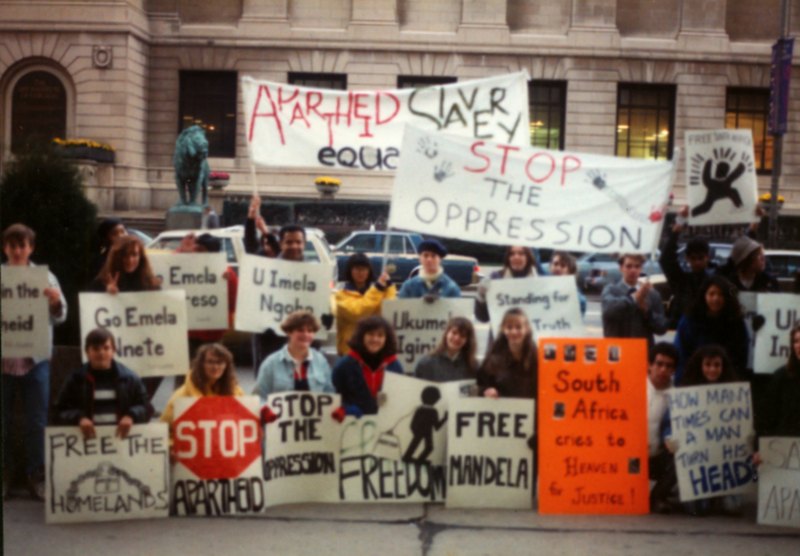 High School students demonstrating against apartheid. They arrived on the street with banners and singing when a “standing for the truth" a silent vigil of several hours sponsored by Synapses was in process.